The group is alleged to have infiltrated more than one million computers and skimmed millions of dollars from people's bank accounts. The teenager, who is 18, cannot be named for legal reasons but was known by an alias as "Akill". He was detained as part of an FBI crackdown on hi-tech criminals who run botnets - networks of hijacked PCs. After being questioned "Akill" was released without charge, but police say he is still being investigated. Police allege that he was responsible for setting up a global network of hijacked PCs - known as a botnet. The term describes the process of installing malicious software on PCs around the world to collect information such as login names, bank account details and credit card numbers. The FBI estimates that 1.3 million computers were under the control of "Akill" and were used to embezzle millions of dollars. "Akill" was still at school when his hacking allegedly began, and he is said to be very bright and very skilled. The 18-year-old was detained in New Zealand's North Island city of Hamilton. He could face charges which carry a maximum sentence of 10 years in prison. The arrest comes as part of the FBI's Operation Bot Roast II - the second phase of its campaign to tackle those who set up and run botnets for criminal gain. 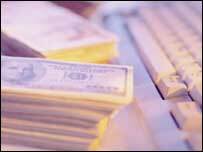 The running total of money stolen by the botnets is $20m (£9.7m). The botnets were used to commit a variety of crimes. Some were simply used to steal saleable personal data, others acted as relays for spam and phishing and some were used to flood other websites with data to knock them offline. 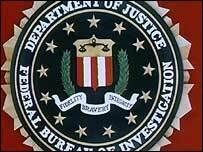 The first phase of the FBI campaign identified more than one million computers in the US that were part of botnets and produced several arrests. The second phase has resulted in three new indictments of people that ran botnets; jail sentences for three others and guilty pleas from a further two botnet controllers. To stay safe, the FBI urged PC users to install and maintain anti-virus software, employ a firewall, use strong passwords and not open unknown attachments on e-mail messages.